With the number of gadgets increasing, the plug points in your house cannot keep up. 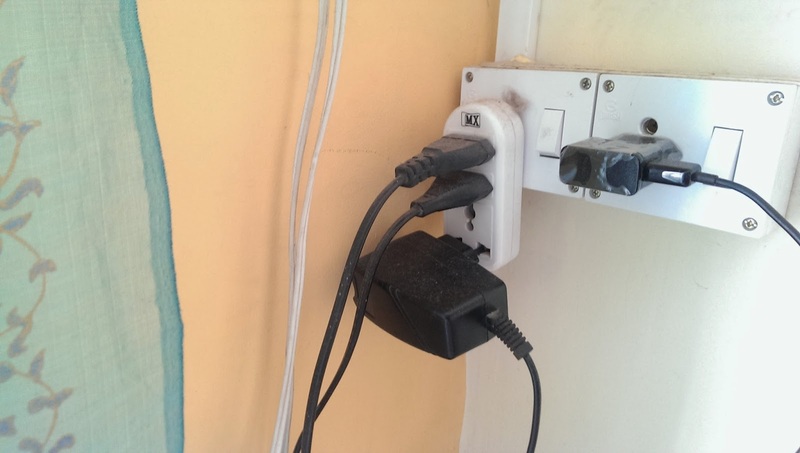 There are any number of 'chalu' extension boxes which are guaranteed to raise your blood pressure, as you try to keep two-pin phone charger plugs from falling out, try to jam in a three-pin plug or notice belatedly that the box is not drawing power from the wall at all! Put your electrical woes to an end forever and treat yourself to an MX Universal Extension Box. At just Rs. 600, it offers some fantastic features including a three pin wall connector, in-built fuse with indicator lights and no less than three 3-pin sockets - three laptops can be comfortably connected to it. Also, you can control each socket individually, as you do with a power strip. If you want a cheaper variant, the one I use (pictured below) below costs Rs.440 and does away with individual switches for each socket. You can buy directly from the manufacturer, MDR Electronics' website or you can search in your nearest electronic store, but in my experience, it's kind of hard to find MX products in stores. 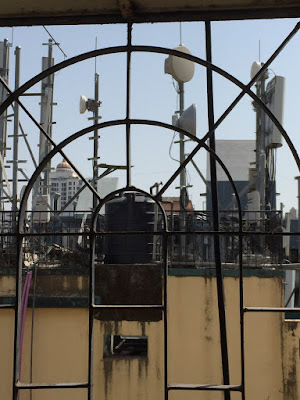 In Mumbai, they are available at electrical stores at Pali Naka, Bandra West. Incidentally, every MX product is fantastically built and great value for money, so I strongly recommend that you pick up their multi-plugs, power strips and adapters without a second thought. With smartphones becoming more battery hungry and our non-stop device usage through the day (blame Instagram, Facebook and WhatsApp), portable power banks are becoming a necessity. For me, they are lifeblood, as I travel frequently, and increasingly spare plugs are not available even in corporate conference rooms, let alone at public places like airports and coffee shops. Seems everyone wants to draw power, all the time. The good news is that power banks are getting cheaper and cheaper, and the more high-end ones come with capability to simultaneously charge two devices. You can get a generous 10000 mAH device for Rs. 2000 or less if you keep track of the many deals going on Amazon, HomeShop18, Flipkart etc. But there is a huge catch here. You need to charge the power bank if it is going to be of use to you, and literally every power bank out there charges through USB and not wall power. This means slow and long charging, and you will not be able to re-fuel it unless you are also carrying along your laptop. (Hint - do not use a smartphone wall adaptor to charge it, unless you are prepared to spoil your charger, or your device). In my experience, after some time, you stop charging the power bank and it becomes a redundant piece of plastic that you lug around. Now you have an option that is the best of both worlds. 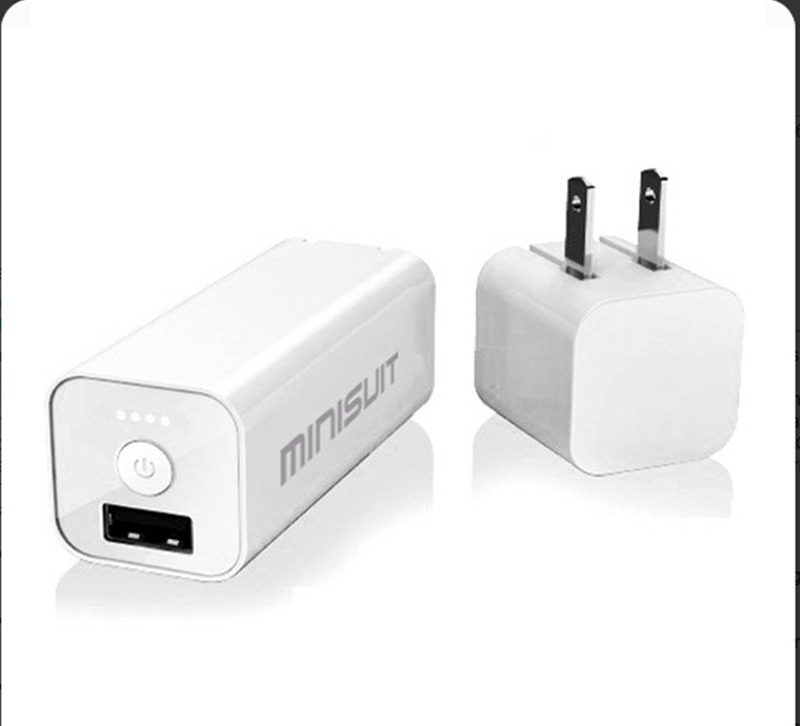 MiniSuit, a company known for gadget accessories, has introduced their DuoCharge Power Bank with AC Adaptor. This nifty little lipstick sized device packs 3000 mAH, charges off wall power in a jiffy and then supplies juice to your gadgets. It even lets you charge your gadgets directly from the wall socket in case you forgot to carry your charger. 3000 mAH may look tiny compared to beefier power banks, but it's more than enough to charge your smartphone, or give a little lease of life to your tablet. And remember that that huge 10000 mAH power bank will take 10-12 hours to absorb a full charge from your puny little USB drive. You are guaranteed to not charge it fully on most days. 3000 mAH which you can quickly plug and charge anywhere is way more useable power. The MiniSuit DuoCharge Power Bank costs $20 on Amazon. Launched just a couple of months ago, it does not yet seem to be available in India. Unfortunately, to use this device in India, you will need to use a US Adapter. But the device is compatible with Indian power sockets. 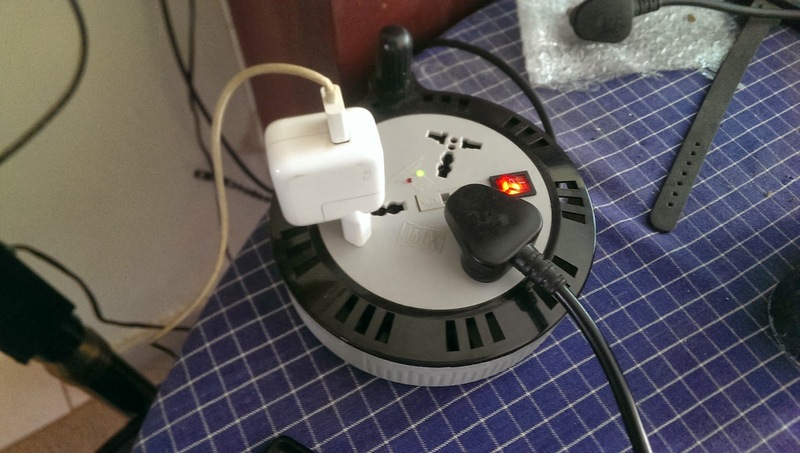 Sometimes you do not need an extension box, only a multi-plug, if you happen to sit close to a wall socket. Multi-plugs are often terribly designed, and two-pin plugs are notorious for forming loose connections in such sockets, either not drawing power at all or not fitting properly at all. Here again, I strongly recommend MX for their Three Way Universal Conversion Plug. Priced at Rs. 199, this neatly designed little plug has come up with a revolutionary yet simple design idea of putting two 2-pin sockets and the three-pin socket in a row. It has always been a mystery to me how we can use a two pin socket at the bottom of a plug unless some gravity-defying power is also packaged with it. Coming back to the MX multi-plug, I can guarantee that all three plug points work (which hardly ever happens with other brands). Bonus - they also work on 15 Amp plugs, so I use them in the kitchen to plug temperamental gadgets like the juicer and the hand blender. I have several, and I have gifted several. 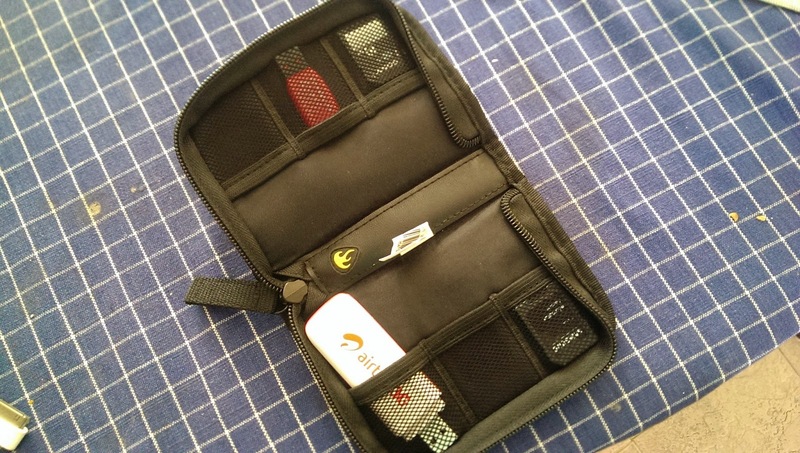 You have carrying cases to protect your phone, tablet, hard drive, MP3 player...but how do you transport your USB drive, internet dongle and SD Cards? If you carry them loose inside your rucksack or bag, chances are you have had to upturn it several times to hunt for them. And maybe you have really lost them a few times too! 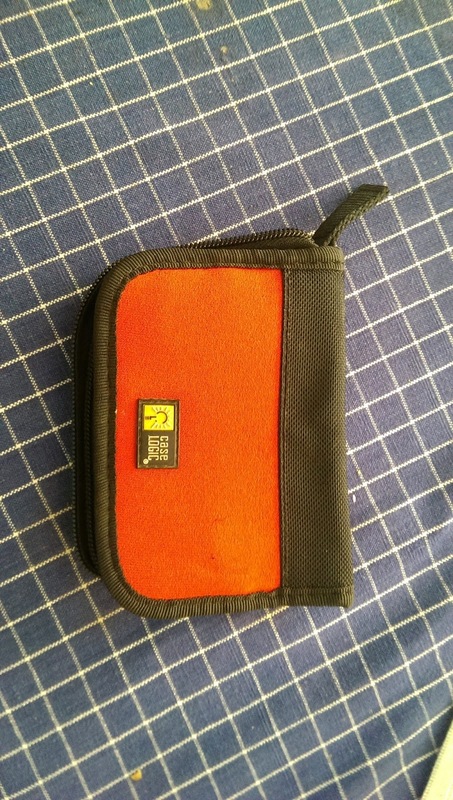 I bought the case at Rhythm House, Mumbai for Rs. 350 nearly three years ago. I am linking to an international eBay seller who is quoting Rs. 1849. Still worth it if you have multiple high capacity pen drives and are loss prone. Sometimes the cheapest and simplest things can give you the biggest joy. This is one of those things :) My Triple Fi IEMs have cables that seem to be designed to get tangled with every other cable. Put them in their own dedicated box and what do they do? They get tangled with themselves. Ditto for the mobile handsfree cables. The only solution. A couple of fishbone cable winders like these cheap ones on Ebay. At just Rs.99, they save you from the frustration and heartburn of unwinding cables. Ladies, these also work for elastic drawstrings on your garments. Keeps them from retracting.